LED Touch Lamp Dino | Perfect for your resident dinosaur fan! Perfect for your resident dinosaur fan! 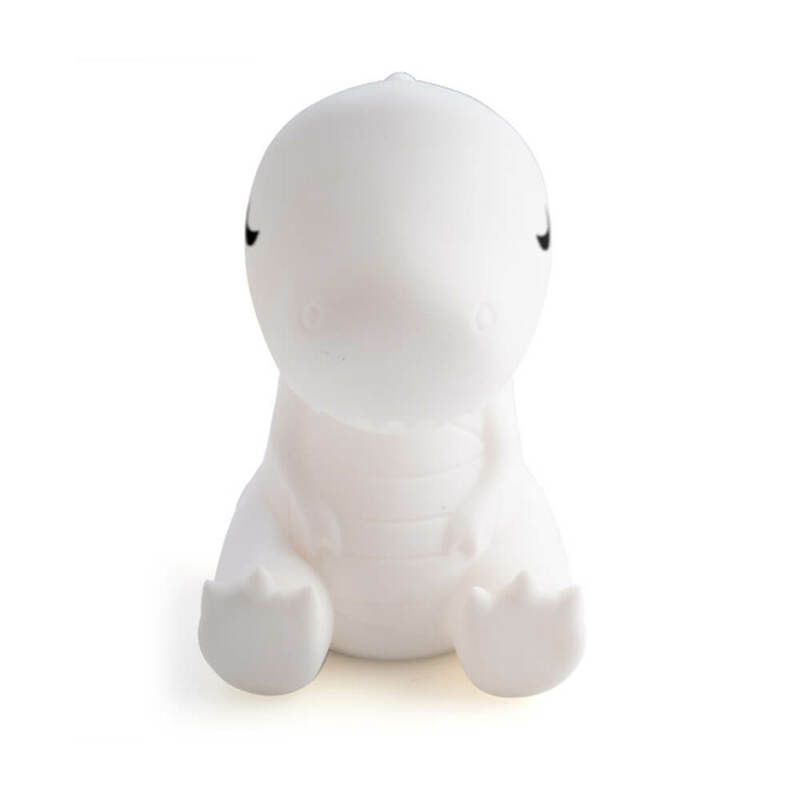 Delight sweet dreamers with the safe, soft glow from the LED Touch Lamp Dino with soft chompers! 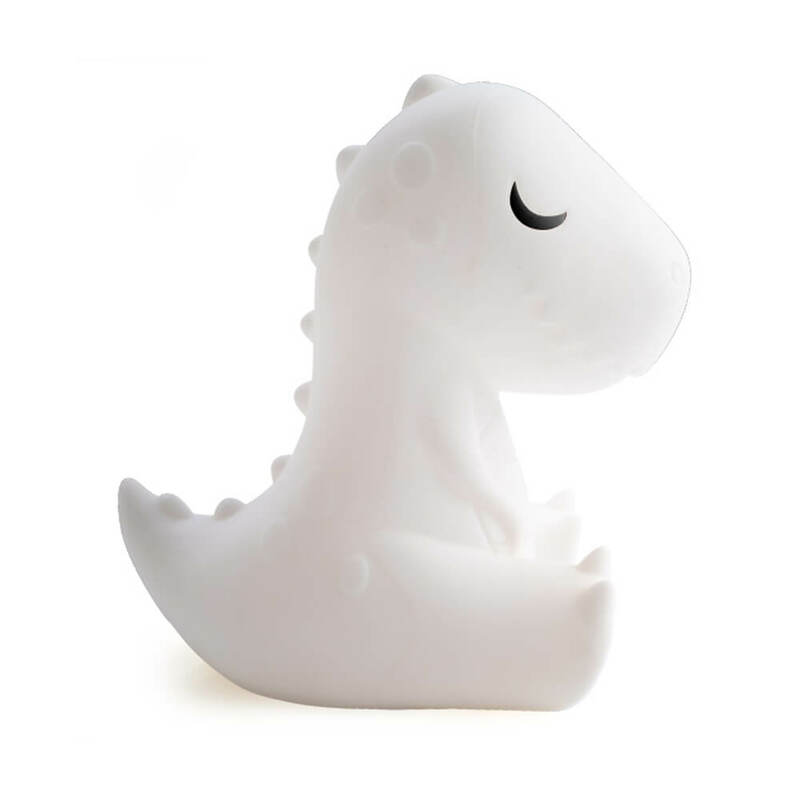 The sweet t-rex shape has a smooth, squishy, tactile feel, whilst the soft light makes it a comforting companion at bedtime. You can activate and adjust the brightness of your night light simply by touching the soft silicone casing. Tap your way through the different levels of brightness to light him up more, or switch him off! The LED light stays cool to touch, so it's safe for little hands to hold on to. 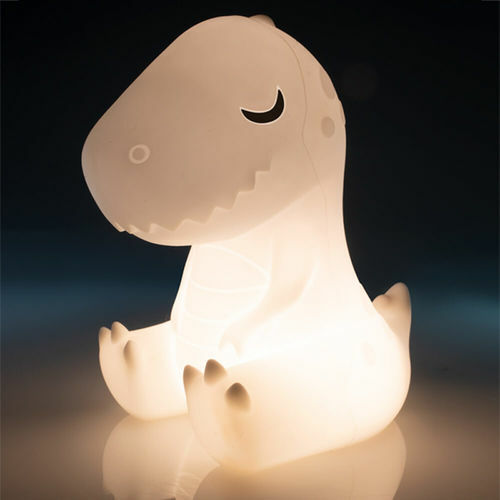 Your lamp has a rechargeable battery with included USB cable to keep your dino full of life. Sweet dreams! Dimensions: 16cm high x 15cm long x 10cm wide.